Explore all of the newest townhomes, lofts & condos for sale in San Antonio and all San Antonio TX real estate listings below. 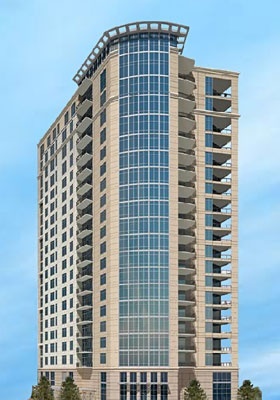 San Antonio condos are both luxurious and cutting edge, and they offer the finest in San Antonio urban living. VIP Realty understands not only the San Antonio condominium market, but also the premier condominium communities that have set the bar for excellence. For information about San Antonio condos & lofts for sale or to schedule a private townhome or condo showing, contact your San Antonio real estate experts today. Whether you're a San Antonio professional, empty nester or a family with an urban flair, a San Antonio condominium or loft may be just what you've been searching for, and VIP Realty can provide you with the information needed to decide which urban condominium or loft dwelling suits you best. For many, the question isn't: why would I reside in a San Antonio condominium, but rather why wouldn't I reside in a San Antonio condominium? With the famed River Walk and Alamo at your disposal, as well as the convention center, the business and arts districts and the airport, San Antonio condominiums are practical for San Antonio professionals and simply divine for everyone else. From the stately Vidorra, with its soaring, panoramic views, classically modern interiors and outstanding building amenities, to La Cascada, with its rooftop swimming pool, beautifully designed interiors and exceptional residence amenities, the condos of San Antonio provide unsurpassed excellence and luxury, all the while providing a beautiful San Antonio backdrop. View available San Antonio condos below or find out more about local condos & townhomes! Cool, hip lofts, classic homes and modern spaces abound throughout the condominiums of San Antonio, so let VIP Realty show you the many options of San Antonio condo living. VIP Realty has become the premier real estate firm for the best in San Antonio condo living, and can provide you with expertise regarding any area of the city, regardless of your price range, wants, needs and desires. From the history of the properties, to their market value and other important details, VIP Realty has an excellent network of industry professionals who are ready to find you a fantastic, San Antonio condo residence. If you are looking for a detail-oriented, knowledgeable real estate firm to guide you in your condo purchase then look no further than VIP Realty. Beyond the basics of condo buying, VIP Realty is there to make sure that you make the most informed decisions and that you understand all aspects of the property for which you are interested. The best decision is an educated one, and VIP Realty is there to ensure that your San Antonio condo purchase will be a positive, informed one. Don't rely on just anyone to guide you through your San Antonio condo purchase! Use the services of VIP Realty today to learn about the many perks and benefits of condo living in the heart of San Antonio! City life does'nt get any better than this! Downtown San Antonio lofts for sale inventory is not that diverse as there is a limited amount of true loft buildings in the city. Downtown offers some of the highest rated loft buildings in San Antonio. Below you can find up to date inventory of lofts for sale in downtown San Antonio. The list is updated every 10 minutes so the listings are current. Please contact us if you have any questions or would like to tour any of the various lofts in downtown San Antonio. VIP Realty is a full-service real estate company that helps you locate lofts for sale in San Antonio. We look forward to helping you find your new loft by browsing our Featured Developments, our Featured Listings, or utilizing VIP Realty's home finder to search all 30,000+ homes for sale in San Antonio with no sign up required. Refine your real estate search in San Antonio, TX by price, number of bedrooms, bathrooms, property type (including townhomes, condominiums and single-family homes), and more. Use our interactive Map Search to view real estate activity across all San Antonio ZIP codes.